HIGH CHAPARRAL (IRE) (Bay 1999-Stud 2004). 10 wins-2 at 2, The Derby, Gr.1. Champion Aust. Sire (AEI) twice. Sire of 1727 rnrs, 1088 wnrs, 126 SW, inc. So You Think (MVRC WS Cox P., Gr.1), Dundeel, Shoot Out, Ace High, Descarado, Monaco Consul, Rekindling, Contributer, Toronado, Wigmore Hall, Lucky Lion, Free Eagle, Tivaci, Redwood, Youngstar, Charmont, Fenway, High Jinx, Hiyaam, Montoya's Secret, Pondarosa Miss, Wrote, Joanna, Enaad, etc. Matron (f. by O'Reilly). 3 wins from 1200m to 1800m, MRC EJ & Nellie Turner P.
Fern (f. by High Chaparral). 2 wins. See below. Magellan (g. by Duporth). 2 wins at 1200m, 1600m to 2017-18 in Aust. Dr Brock (g. by Bel Esprit). 2 wins at 1000m, 1200m in Aust. Sir Gawain (g. by Duporth). Placed at 3 in 2018-19 in Aust. GREAT SHOT (Magnus). 8 wins from 1200m to 1600m, A$1,393,875, to 2017-18, WATC Railway S., Gr.1, Belmont Guineas, L, Cyril Flower S., L, Old Comrade S., L, Town of Victoria Park H., Corporate Membership H., 2d WATC Lee Steere S., Gr.2, Perth Racing AJ Scahill S., Gr.3, WATC Asian Beau S., Gr.3, Belmont Sprint, Gr.3, Northerly S., Gr.3, Hyperion S., Gr.3, Birthday S., L-twice, Grandstand Cup, L, Bunbury S., L, Pinjarra Classic, L, WATC Perth Racing Newsletter P., 3d WATC Lee Steere S., Gr.2, Northerly S., Gr.3, Carbine Club of WA S., L, Northam Cup, L, WATC Pink Ladies Day Luncheon H.
GAWNE (Flying Spur). 3 wins. See above. Firenze. 6 wins from 1400m to 2500m, A$174,055, MVRC Ranvet H., Pakenham RC Evergreen Landscaping H., 2d VRC Prince of Penzance P., MRC Polytrack H., Le Pine Funerals H., 3d MRC Ladbrokes Challenge H.
Slippery Satin. 2 wins at 1600m, 1800m, MRC Slickpix H., 2d MRC Ahern's at Highways After the Last H.
CASINO DANCER (Casino Prince). 6 wins-1 at 2-from 1100m to 1900m, A$529,475, ATC Angst S., Gr.3, MRC Eclipse S., Gr.3, ATC TAB Rewards P., 2d ATC Carbine Club S., Gr.3, Eremein H., Cellarbrations H., More Than Ready at Vinery H., Lindblad Expeditions H., TAB Rewards H., Hawkesbury RC Blakes Marine H., 3d VRC Matriarch S., Gr.2, ATC Summer Cup, Gr.3, Hawkesbury Gold Cup, Gr.3, ATC Filante H., TAB Rewards H., Ranvet H., Australian Turf Club H.
Ariconte. 5 wins-1 at 2-to 1400m, A$81,025, to 2017-18, TTC National Apprentice Series Heat 4 H., 2d TTC Bill Dunstone Memorial H., Devonport RC Peppermint Parties H., 3d TRC Elwick Functions & Events H., Rogerson & Birch Surveyors H., TTC Tas Hotel & Club Supplies H., Devonport RC Simons Design Centre H., Dannebrog H.
Don't Fuss. 3 wins to 1200m in 2017-18, WATC Get the Tabtouch H., 2d WATC D'Orsogna H.
Mapmaker. 8 wins to 1500m, A$376,900, to 2018-19, ATC St Johns Park Bowling Club H., Summer Racing H., TAB H., 2d Tamworth Cup, ATC CFMEU Mining & Energy Division H., Campbelltown Catholic Club H., Lindt H., Adina Apartment Hotels H., 3d ATC Roger Hawke H., Pacific Boating H., Sydney's West App H., Rydges Parramatta H., Tab.com.au H., Theraces H.
DA-MAN - V-CAN (H.K.) (Danehill). 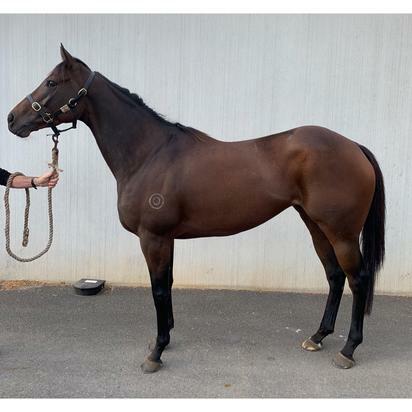 9 wins-3 at 2-to 1400m, R192,350, HK$3,140,000, Kenilworth Homberg S., Gr.3, Greyville Queen's Nursery S., L, HKJC Lusitano Challenge Cup, Cuckoo H., Chang Jiang H., Pak Tin H., 2d HKJC Forbes Cup, Fanling H., 3d HKJC Beas River H., Ing Shui on Region H., Cheung Chau H.
2 wins at 1600m to 2018-19, MVRC Australia P.